ex WW2 US Army surplus chain-driven Pacific tank transporter. Cab has been rebodied for civilian use of pulling oversize and heavy industrial construction loads. Cheap and widely available during the 50s, many transporters used them and often replaced after a few years their gasoline guzzling engine with more economical diesel power sources. 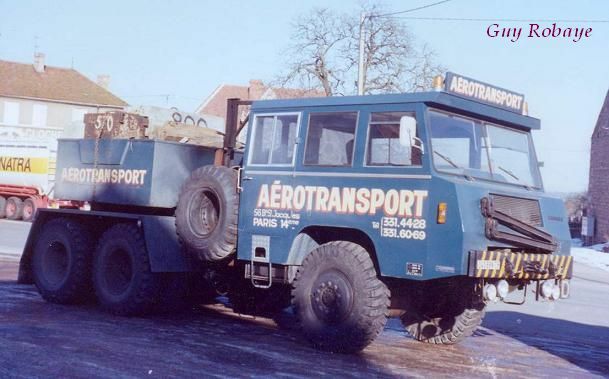 Could well be a 1970s WILLEME-PRP 6X6 Lorry with Berliet mechanicals.